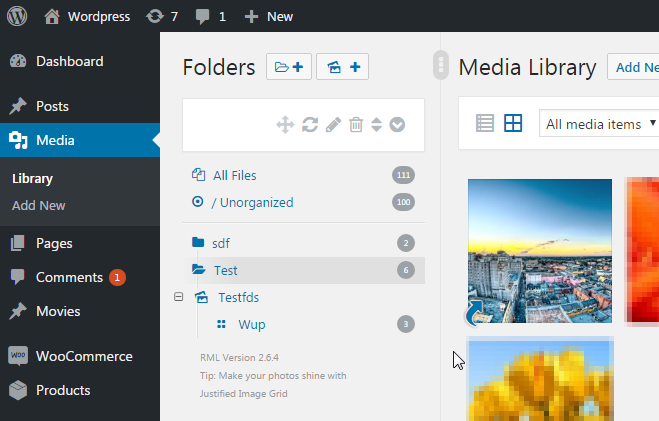 Here you can see a folder structure within a media library (Wordpress). Now, I want to make it very userfriendly to make it possible, that a file can be in multiple folders. The user should know, that the files are not directly "copied" in the file system. Instead, it should work like the Windows Explorer: There is one file fixed to a folder and you can create a shortcut through the context menu. Do you know some better solutions? After the shortcut is created, the file is still in the "Wup" folder, and the "Test" folder contains this shortcut. It seems you want to allow users to create a symlink to the image so it can be accessed through different URLS. If you go to domain.com/images/image.jpg and domain/images/folder/symlink.jpg it will show the same image. It's a very uncommon practice to allow your users to do this, but it's certainly possible. If you want to use a shortcut, then you can mimic the behaviour that Windows uses. Allow them to create a shortcut in the folder through the context menu. Then they can move the shortcut to the correct folder. In my opinion this is easiest way to do a shortcut, because the users are already familiar with this behaviour. Another option is creating a button or context menu where the user can select the symlink destination in a file tree structure. This give them an overview of where they can put the image. Not the answer you're looking for? Browse other questions tagged keyboard-shortcuts files or ask your own question. Should Operating Systems Hide Sizes of Files/Folders the User is Denied Access to? What is the standard design pattern for file sharing? Can we assume a file stored in the cloud and link saved in the pocket app, are same? 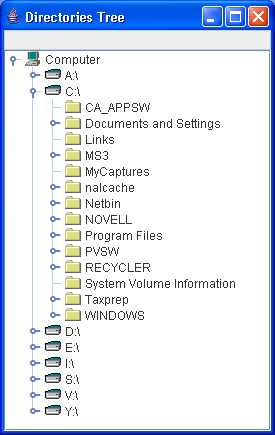 Do nested hierarchies of folders make sense to novice users? How to define shortcut keys for an application? Getting prompted for verification code but where do I put it in?